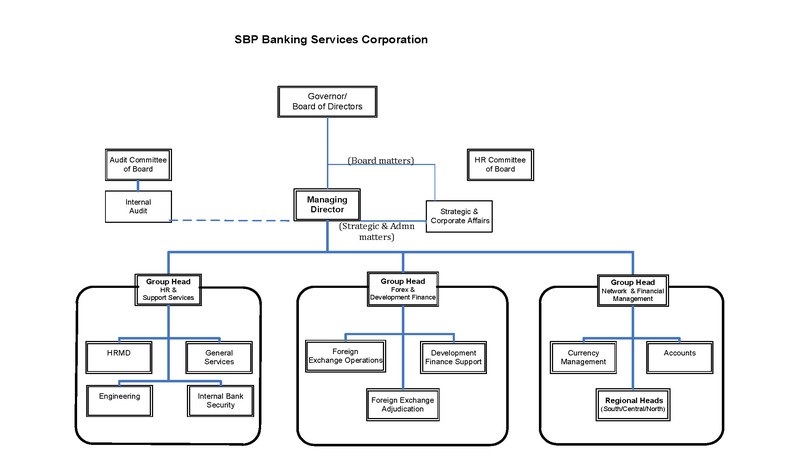 The Managing Director (MD) is the Chief Executive Officer of SBP BSC and controls the affairs of the Bank on behalf of the Board of Directors. The Managing Director has been empowered to conduct business and manage the affairs of the Bank except for the matters that fall, specifically, under the purview of the Board. The Managing Director is assisted by a team of Group Heads / Regional Heads / Heads of Departments and Chief Managers as laid out in the Organogram above. report to respective Group Heads. 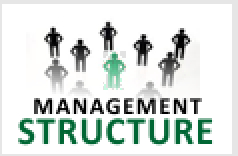 In addition to the above, the following fora provide necessary strategic and operational support to the management framework. The Head of Departments Forum is a senior management level consultative and coordination body in SBP BSC which deliberates upon various policies, issues and challenges, and facilitates the Board / top management in making decisions and their smooth implementation for achieving strategic objectives of the organization. Chief Managers Forum is a consultative and coordination body which assures smooth implementation of various policies; discusses and improves the operations of the Bank by addressing the issues / challenges faced, and facilitates the HOD Forum /Top management in decision making. Secretary of each Committee is responsible for all secretarial work relating to these committees like convening the meetings, making administrative and logistical arrangements for holding the meetings, preparing and circulating agenda and minutes of the meetings and ensuring follow up action on the decisions of these committees / fora.